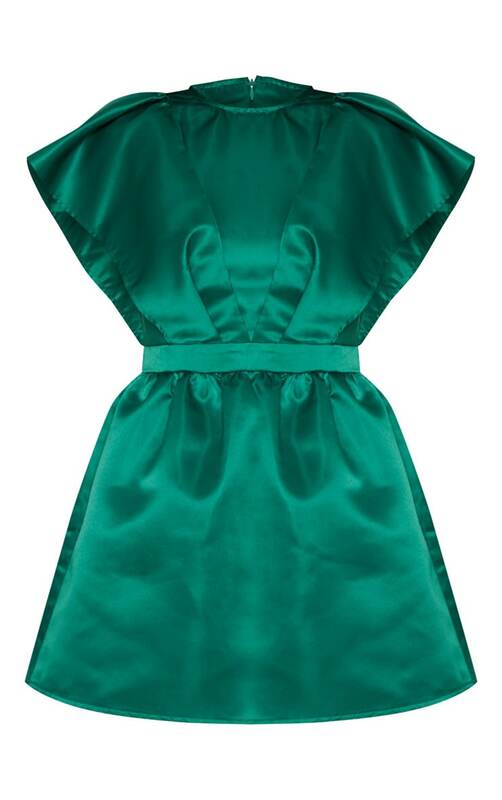 Get party ready with this gemstone hue skater dress. 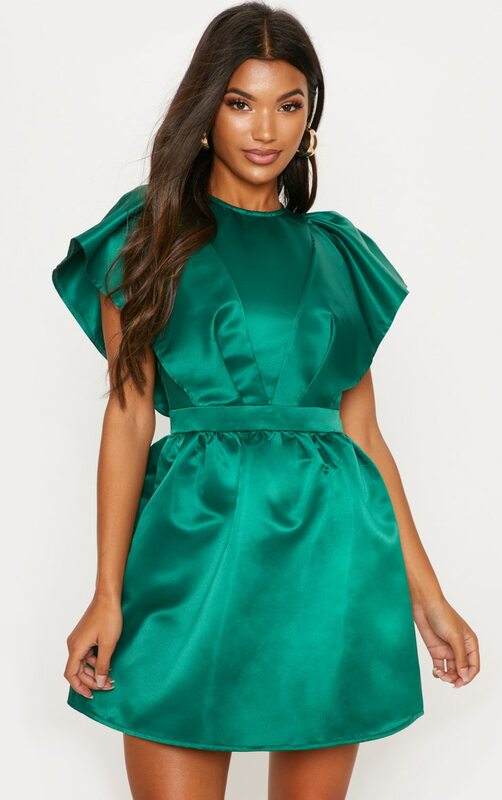 Featuring an emerald green satin material, ruffle sleeves and a flattering cinched in waist design, what's not to love? Keep it chic and style it with a matching emerald green handbag and gold heels.